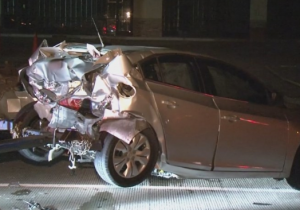 A chain reaction car accident injured two drivers in the Cypress area last night, including a Harris County Sheriff’s Deputy. According to KHOU the crash started around 10:20 p.m. when a red Toyota Camry traveling eastbound on FM 1960 crashed into the rear of a Chevy Cruz. The Chevy was left disabled with its lights off in a travel lane when seconds later the HCSO patrol vehicle struck the Chevy from behind, knocking it into opposing lanes. Both the driver of the Chevy and the Deputy were taken to hospital, the Deputy with possible broken bones. At Smith & Hassler we always advice against persons without legal representation giving statements to insurance companies, but that is particularly true of chain reaction collisions like these. 12-year old Brein Bullock was tragically killed and her 35-year old mother Leah Bullock was seriously injured when a Texas Disposal Systems truck struck a highway overpass bridge in Sealy, TX yesterday. 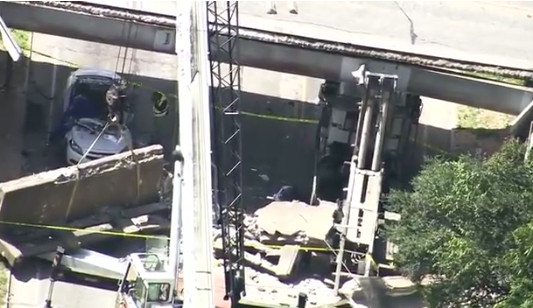 The truck was traveling on Highway 36 around 10:00 a.m. with the trailer boom raised when it struck an Old Highway 90 bridge. The rubble fell onto the Bullock family’s white-colored car. Brein, who was sitting in the front passenger seat, was dead at the scene. Leah was transported by helicopter to Memorial Hermann Hospital. Also in the vehicle was 9-year old Breanbon Gardner who was riding in the back seat and appears to have been uninjured. There is a bridge height warning sign in place that the truck passed through prior to hitting the bridge. A witness driving behind the Texas Disposal Systems truck saw the vehicle hit the warning sign and keep going, and was filming the truck with a GoPro camera when the incident happened. The truck driver has been identified as 72-year old Carl Weige. A fatal accident happened on FM 1960 at Cypresswood around 1:40 p.m. last night. 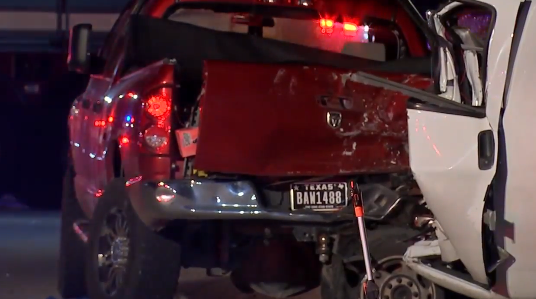 A woman driving a white delivery van with Viking Delivery on the side crashed into the rear of a red Dodge Ram pickup truck that was stopped in the roadway of FM 1960 for reasons not yet known. 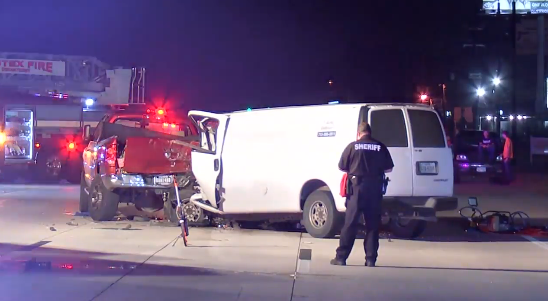 The front of the van sustained major damage and the woman driving was pronounced dead at the scene.